I’m not a crazy coffee drinker. I usually go in spurts and alternate with tea when it’s cold outside. So the past couple of weeks that it’s been cooling off have driven me to seek out my favorite coffee: Pumpkin Spice. I posted about it a bit ago and a friend replied asking me for my recipe. I was confused. Recipe? I just go to the closest convenience store for a cup once or twice a week until they stop having it in the store or buy a bag of Green Mountain when I can find it in the store. She replied to my email saying that she had seen some recipes around and figured I had used one and it made me google. I had to laugh at the results. 1. Prep a pot of coffee like you normally would. 4. Let the deliciousness amaze you! Really. That easy. 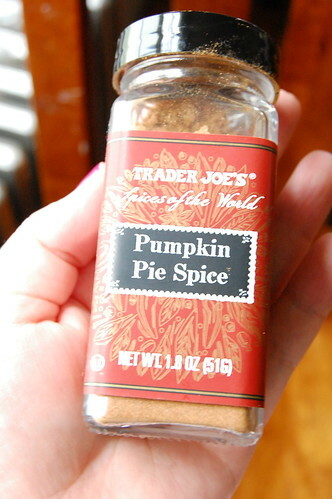 And I just so happen to have made a trip to trader Joe’s yesterday and got their Pumpkin Pie Spice that’s amazing. 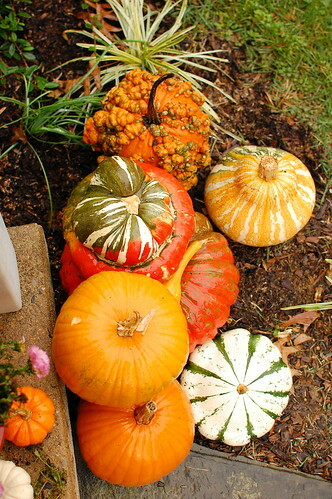 If you want to make your own, Pupkin Pie Spice usually includes a mixture of cinnamon and nutmeg usually with cloves, sometimes ginger or all-spice. The TJ’s version has lemon peel and cardamom in it and it’s incredible. 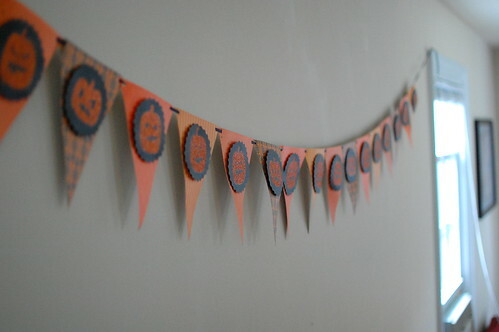 *Pumpkin banner/pennant/bunting here at Michael’s – it’s Martha, not me. I just finished a pumpkin spice latte, but I think this sounds so much better! Thanks for posting. I’m going to try and find pumpkin spice here in South Africa, never heard of it and i’m dying to try it!